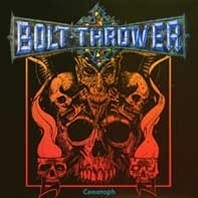 Recorded at Slaughterhouse studio, produced by Bolt Thrower & Colin Richardson. Released on Earache Records 1990. Cover by Paul Mchale. * Recorded at Kilburn National, 1989.